Tampax® and Always Radiant® Collection – 1 purse, 1 scented pad, 3 unscented daily liners, and 2 unscented tampons. 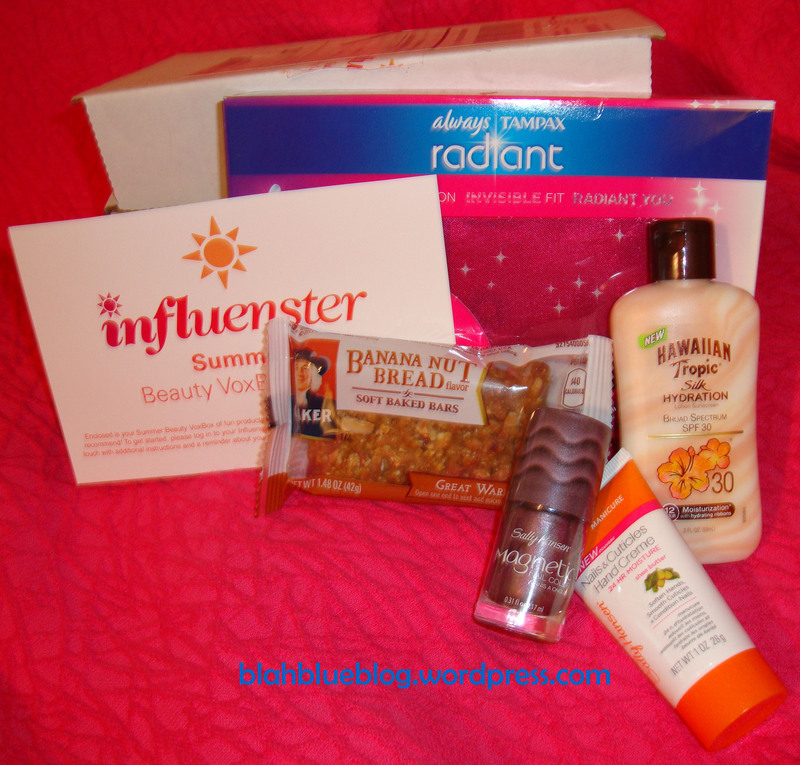 These products were sent to me free of charge as part of the Influenster Vox Box Program. It inspired my current nails. If you can not tell what I was going for the red was ment to be an outline of Ariel’s hair, the purple the sea shell bra, and finally the green is her mermaid tail. It looked better in my head but if I hold my fingers just right so that the designs line up perfectly, which to be honest would never happen in real life, someone might be able to tell what it is. It also helps if you wear a little mermaid shirt, give lots of hints then ultimately resort to telling them what it is. Hey Sailor is from the China Glaze Anchors Away Collection released in spring 2011, but is a part of the normal China Glaze collection located at Sally Beauty Supply. 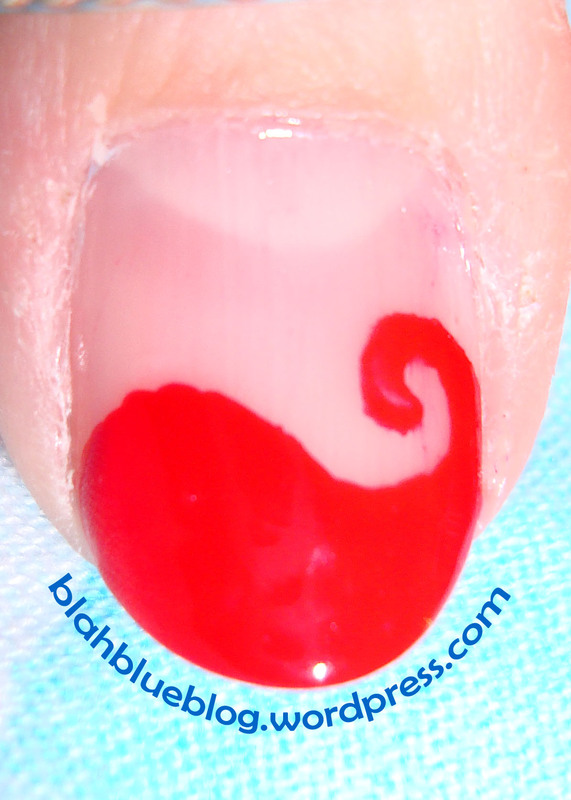 It is a bright red cream that almost has the finish of a jelly polish. It is fairly easy to apply but the formula is thin so watch out for cuticle flooding. Working with two thin coats rather than one thick coat seems to be the better method when applying Hey Sailor, but if you work carefully I think you could get away with just one. I have worn this several times and there always seems to be horrible tip wear after only one to two days. It never chips or flakes off but I have to keep touching it up. I would also recommend wearing a good base coat to prevent staining. A few weeks ago I entered lorrainetyne.com manicure contest and I won 🙂 I never win anything so I was super excited. Above is the manicure I submitted (my tutorial on how to make your own dinosaur nails can be found here). 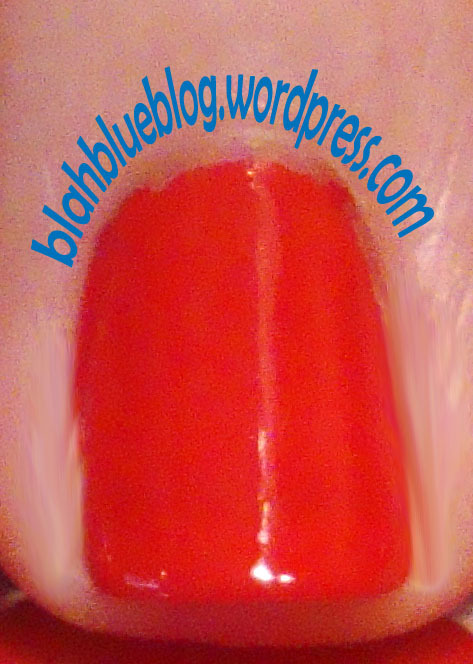 You can check out the wonderful lorrainetyne blog here and see the other winning manicures. 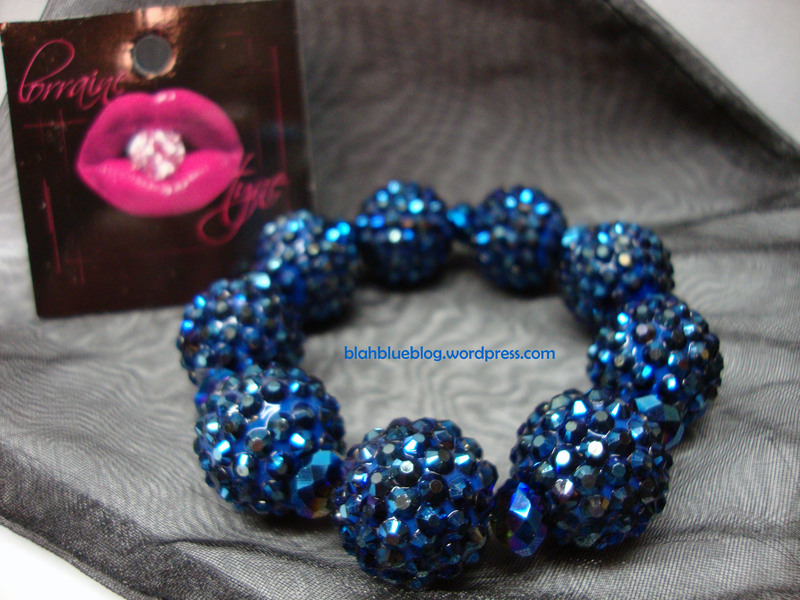 I won this beautiful bracelet. 🙂 Here is a closeup of the bracelet with my current nails. I used an unnamed silver polish from Urban Outfitters and Smoke and Ashes from the China Glaze Capital Colors Collection to create a half-moon manicure. 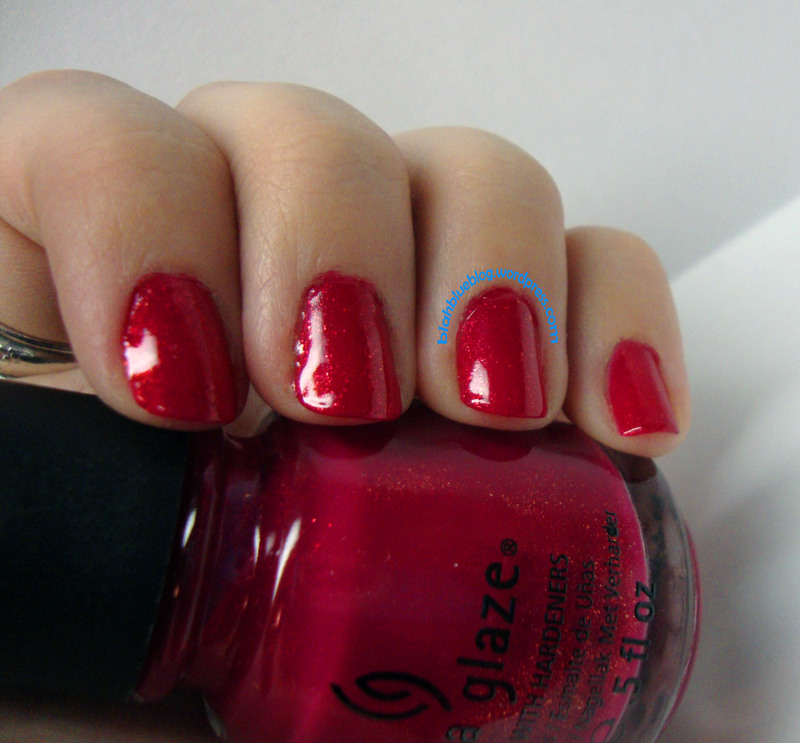 Ahoy is a beautiful berry pink from China Glaze’s Spring 2011 Anchors Away Collection. Ahoy combines the glass fleck look with gold micro-glitter. It applies very smoothly for a relatively thin polish. It is very sheer on the first coat, but with the second coat it becomes quite opaque. I could just see a hint of a visible nail line in a few of my photos at two coats even though it looks opaque in person. I love the way this polish looks and the shimmer is beautiful. It is quick drying and one of my new go to colors for summer. The base color for Ahoy is very similar to Do You Think I’m Tex-y? 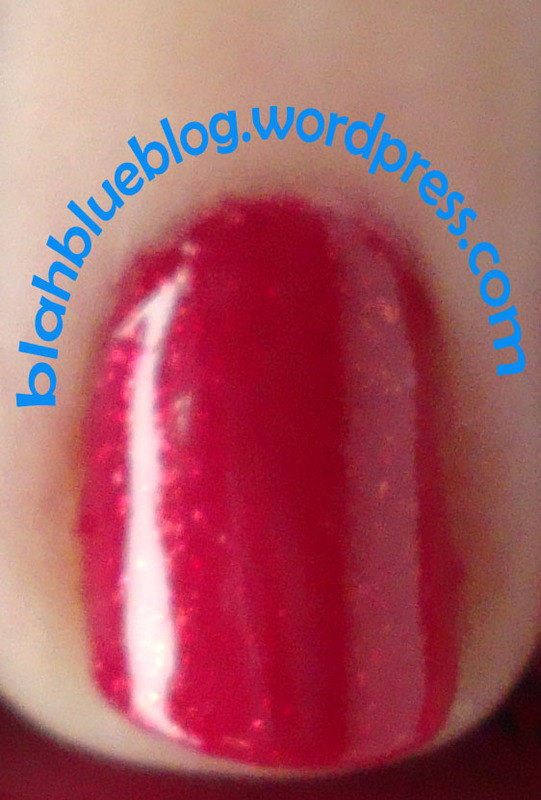 from the OPI Texas Collection (reviewed here). Since Ahoy is available where ever China Glaze is sold, and Do You Think I’m Tex-y was a part of a discontinued collection from OPI, I would highly recommend Ahoy. 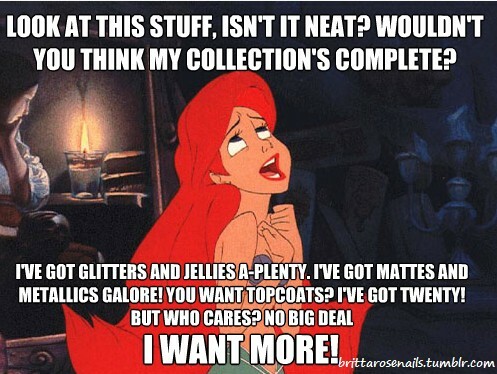 It is less expensive, glittery, and more opaque. No Ahoy is not a jelly polish, but I hate the visible nail line associated with Do You Think I’m Tex-y so for me it is definitely an improvement. Fast Track (District 6 – Transportation) is from the China Glaze Collection Colours From the Capitol. I originally bought this shade for my neutral loving mom, but loved it so much on her that I went out and bought my own bottle as well as and a backup bottle. Fast Track is the polish representing District 6 – Transportation, but for me this color really doesn’t really remind me of transportation, but I loved it so much I can overlook a little inconsistency within a collection of polishes. 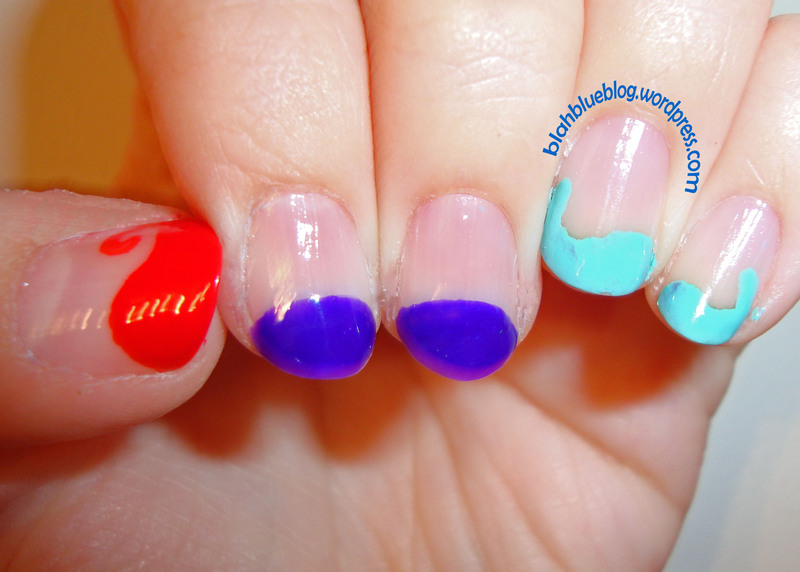 I layered one thick coat of Luxe and Lush (representing District 1 – Luxury) on my ring finger. Fast Track is a dusty creme beige base that has a beautiful gold flaked shimmer. 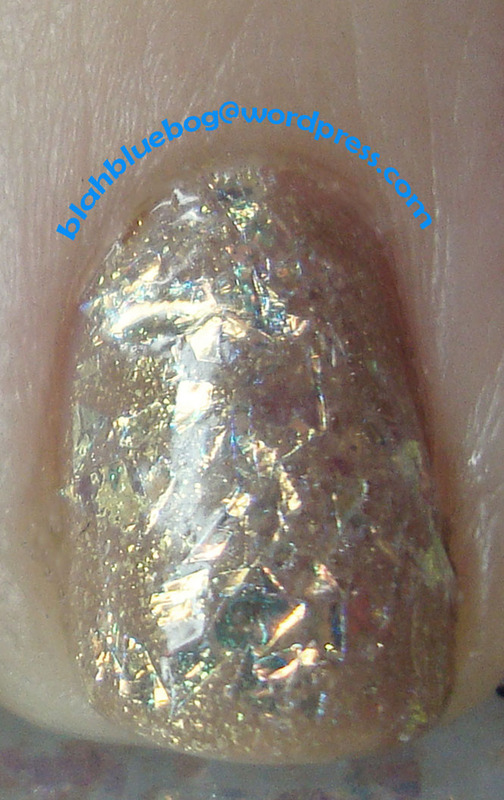 It is a work safe color with more than just a hint of the beautiful gold shimmer. The formula of this polish is just fantastic. It is sheer on the first coat and looks nearly opaque in two but still had a bit of visible nail line. I finally built up the polish to three coats, but the polish dries quickly so it wasn’t a problem. 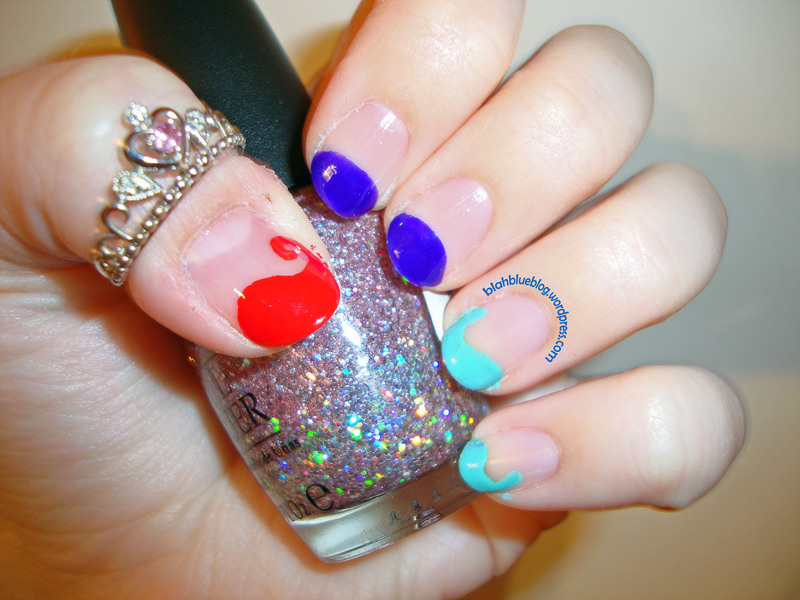 Luxe and Lush is such a versatile top coat, it is so beautiful when worn on an accent nail. You can see the pink/gold and pale blue/green shifts when worn over when worn over Fast Track. Here it really looks like shards of glass.